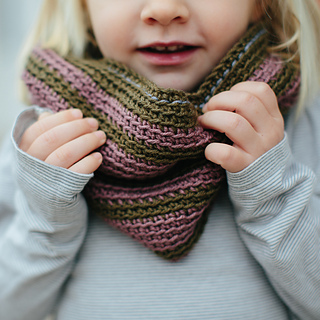 This matching cowl and beanie set will keep all of your loved ones snug and warm with as many size variations as there are dear ones in your life! 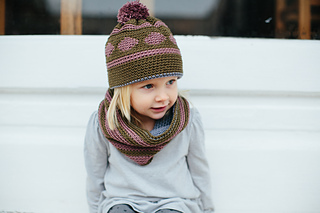 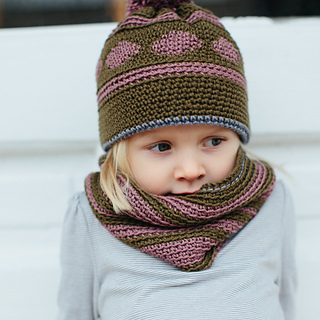 This gorgeous pattern uses playful stripes in the cowl and circles in the beanie which is finished with a cheery pompom. 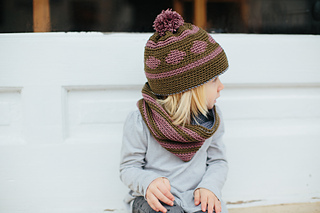 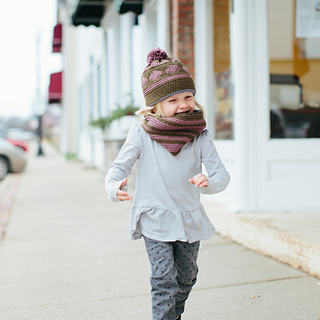 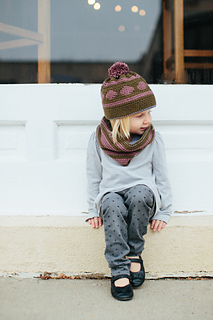 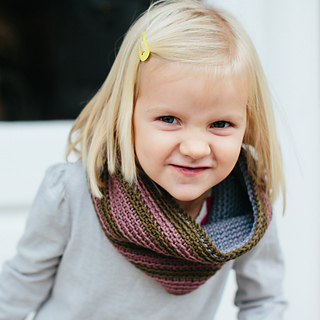 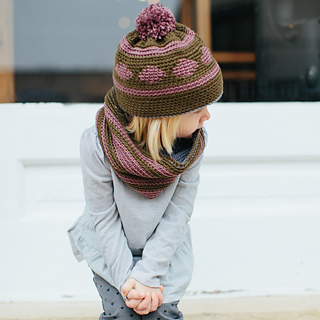 The two layers on the cowl and hat will keep you doubly warm and comfortable.